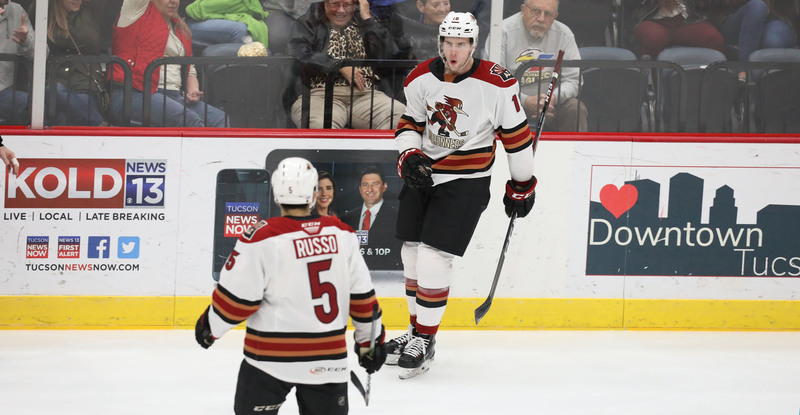 With a third period that embodied execution, the Roadrunners defeated the Colorado Eagles on Tuesday night at Tucson Arena, edging their adversary by a 2-1 count to extend their season-long point streak to eight games. The Roadrunners are now 6-0-2-0 dating back to November 21. The team also improves to 9-2-0-0 on home ice. It took over 45 minutes for a puck to find the back of the net, and it came off of Pederson’s stick with 14:28 left in regulation to give the Roadrunners a 1-0 lead. Pederson’s goal, a one-timer while operating on a 5-on-3 power play, was his third in as many games. 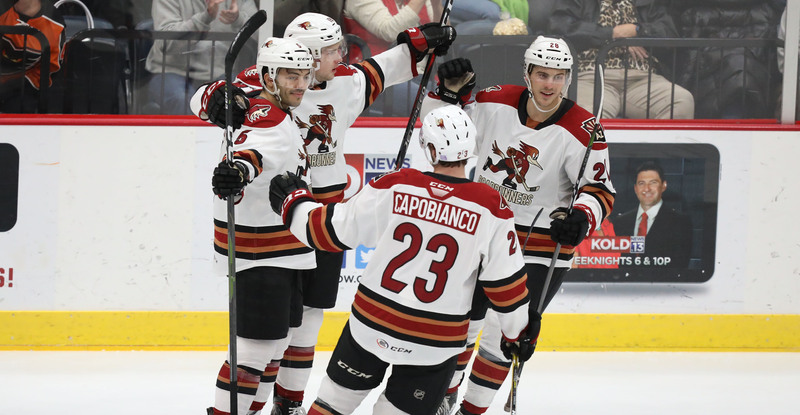 The Roadrunners’ two assist leaders, Kyle Capobianco and Robbie Russo, were credited with helpers. Less than a minute later, Jens Looke upped the Roadrunners’ lead to 2-0 when he beat Colorado’s Pavel Francouz from the top of the left circle upon an offensive zone draw. With 6:44 left on the game clock, Colorado’s Ty Lewis got the Eagles on the board, cutting the Roadrunners’ lead to 201 and snapping their 156:27 shutout streak that began on Friday. Hunter Miska closed the door the rest of the way to secure the victory; he stopped 29 of the 30 shots he faced to earn his seventh win of the season and his third straight. The Roadrunners’ .717 win percentage is the third-best in the American Hockey League. The teams will meet again on Wednesday night at Tucson Arena, where the puck is scheduled to drop just after 7:05 PM.